“Lavitol – Arabinogalactan” is a complex water-soluble polysaccharide compound of plant origin, derived from the Dahurian Larch. Contains molecules of galactose and arabinose. High solubility in water. 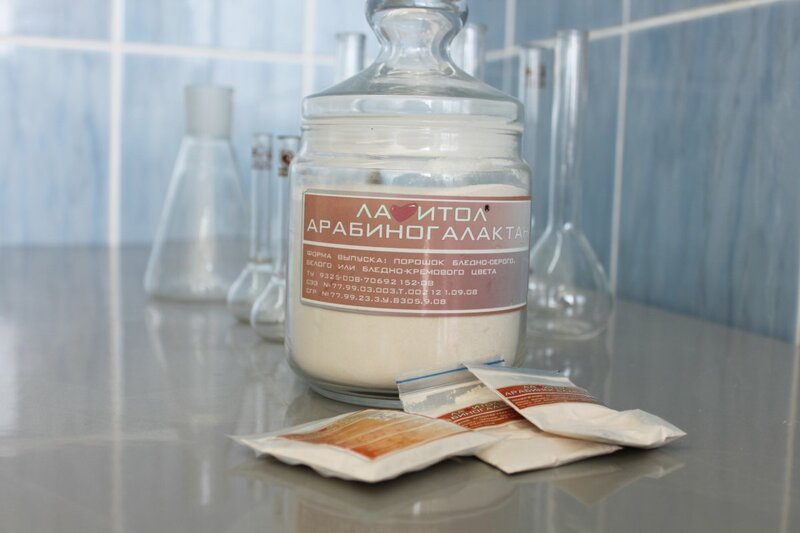 Arabinogalactan is well soluble in both hot and cold water. Arabinogalactan is also soluble in aqueous-alcohol solutions, insoluble in oils and almost insoluble in pure ethanol. Larch arabinogalactan is widely used in pharmaceutical and food industries. If primary Larch arabinogalactan was used only as the adjuvant in production of various medicinal agents, owing to a detailed study of its properties, larch arabinogalactan is considered to use as an independent component in production of dietary food supplements. Arabinogalactan is an all natural soluble prebiotic dietary fiber that has a beneficial impact on the gastrointestinal system. Arabinogalactan promotes better disintegration, nutritive absorption and digestion in the gastrointestinal tract and could be recommended as a functional dietary supplement in the daily diet. Arabinogalactan promotes to increase the production of short-chain fatty acids, which are extremely important for normal functioning of the organism. The Methodical Recommendations of the State Sanitary and Epidemiological Regulation No 2.3.1.1915-04 “Recommended norm of consumption of food and biologically active supplements” has determined the appropriate and the highest allowable level of arabinogalactan consumption: 10–20 g per day. Larch arabinogalactan could be used as adjuvant in production of cosmetic products. As arabinogalactan is good stabilizer it could be used to increase the stability of emulsions of cosmetic products. Having the water-holding properties arabinogalactan decreases the loss of transepidermal water, keeping the moisture and improving the skin nutrition.